Strawbury Duck in Turton has a beer garden. The pub serves real ale, it is a member of Cask Marque. 18/12/2013 It's actually called strawbury duck. Edgworth Cricket & Recreation Club in Edgworth has a beer garden. The pub has a car park, it has disabled facilities. 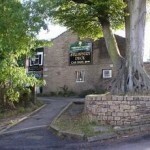 Edgworth Cricket & Recreation Club is a family friendly pub. The pub serves real ale, it has free WiFi. Edgworth Cricket & Recreation Club has a dart board. The pub has a pool table, it is a member of Cask Marque. Come and enjoy the very best home cooked traditional pub food, together with our fine cask ales and wines. Rose & Crown Hotel in Turton has a beer garden. The pub has a car park, it serves food. Rose & Crown Hotel has an outside area. The pub serves real ale, it has a smoking area. Rose & Crown Hotel has a pool table. The pub shows football on TV. Chetham Arms in Turton has a beer garden. The pub has a car park, it has an outside area. Chetham Arms has a smoking area. The pub has free WiFi, it shows football on TV. Chetham Arms has terrestrial TV. Ciao Baby in Egerton has a car park. The pub is a family friendly pub, it serves food. Ciao Baby has a function room that can be booked. The pub has terrestrial TV. Cross Guns in Egerton has a car park. The pub is a family friendly pub, it serves food. Cross Guns has a function room that can be booked. The pub has an outside area, it serves real ale. Cross Guns has free WiFi. The pub has a dart board, it has DJ's. Cross Guns has live music events. The pub has a pool table, it holds quiz nights. Cross Guns shows football on TV. The pub has terrestrial TV.